Tomaree Head Lookout, Tomaree NP, Port Stephens. Looking for a short holiday that won’t liquidate the credit card? 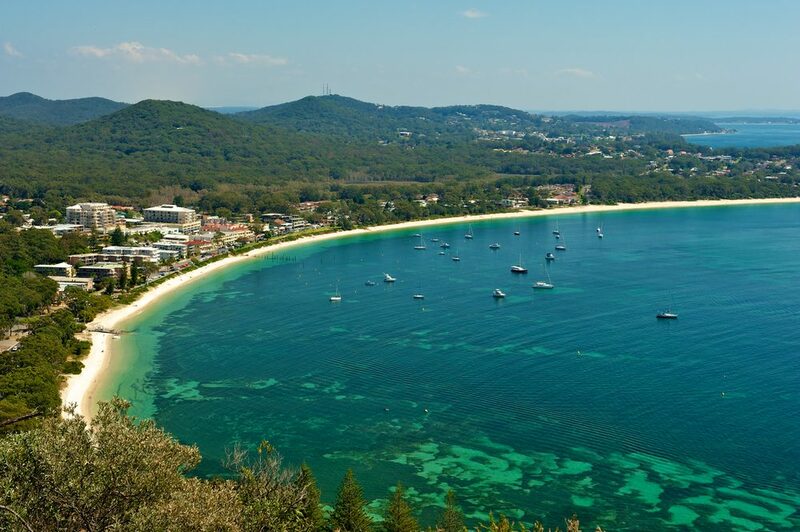 Quentin Long focuses on Port Stephens, NSW, finding plenty of bargain highlights for couples and families. There are loads of great value destinations in NSW, but I have gone for Port Stephens (over Gerringong, Blue Mountains and Central Coast) because, being that little further out of Sydney means prices are a little cheaper. Go fishing in the port. Hire bikes and ride along the port. Stocktonsand dunes – for sandboarding or a camel ride. www.sharkencounters.com.au (blows the budget by $95 for a family) – an aquarium with crazy sharks – you can feed them. Great fish and chips at the Co-op – legendary. Love Murray’s Brewery for a lunch on a Sunday arvo with live music and awesome pizzas, Beers pretty fantastic too. Even better Thai restaurant – just a hidden regional gem Mod Thai for a bit of takeaway. Oaks Pacific Blue: Awesome apartments with this crazy pool that goes all the way around the apartment. About $200 a night but self-catering for a two-bed apartment. Or, Shoal Bay Holiday Park: Great location across the road from the beach and easy reach of the smallShoalBay shops. There are deals, but is about $160 a night in a two-bed stay. The Anchorage: Superb recently refurbished hotel. Great location on the point, around the corner from the main town. Romantic and value deals from $199.